Two items of interest. 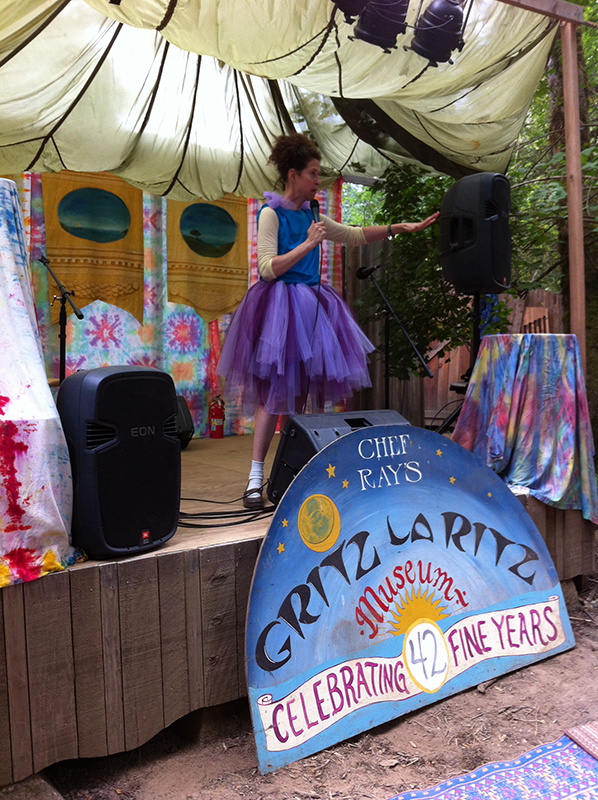 One: let me tell you about performing at the Oregon Country Fair, where we spent the weekend in the warm embrace of Hippie love. Two: the very first Gisele audio storytelling special, The Gisele MP3 Show, is now available for your listening enjoyment! 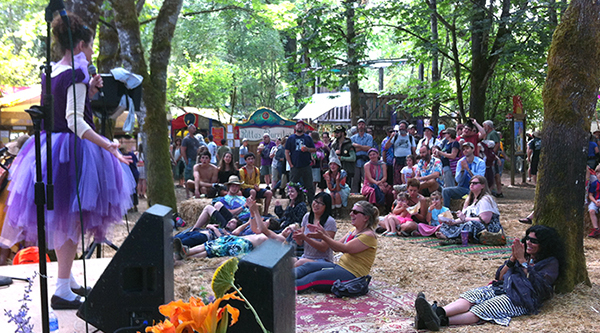 If you’ve never heard of it, the Oregon Country fair is acres of creative play, community involvement, delicious food booths, artisan crafts for sale, and stages and stages of performing arts and music. 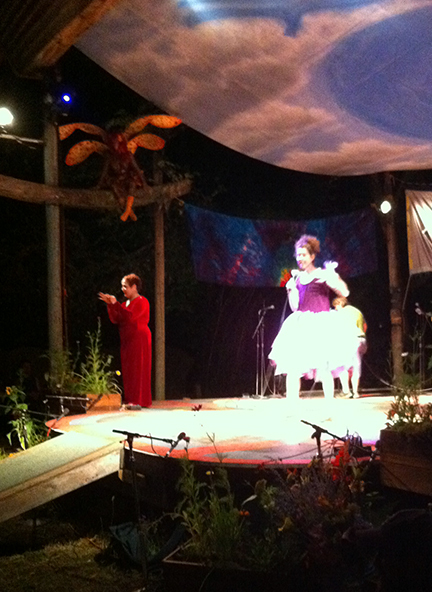 It comes alive for 3 days every year in the woods outside Eugene, Oregon. 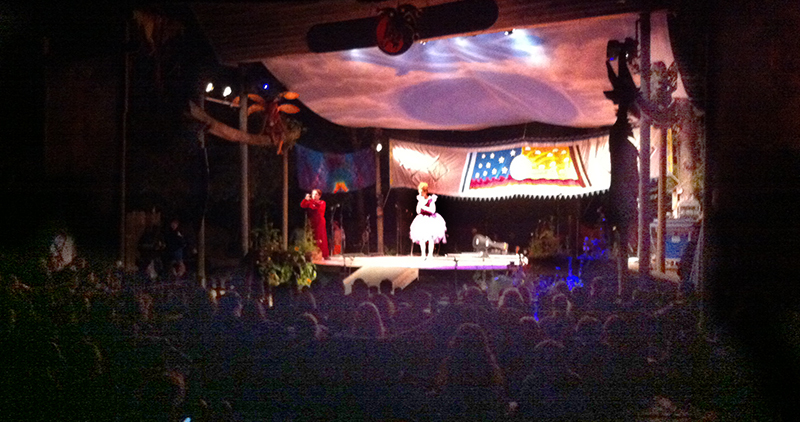 Gisele was invited to tell some stories there this year, and so we got to camp out all weekend with the other performers and the volunteers who create the fair – it was a huge honor and a huge blast, getting to be part of their family. Everyone relaxing, everyone chipping in their talents to make the community work, all manner of costumes and creative dress-up, delicious food, beautiful nature – it was incredible and inspiring. And my Gisele performances were tons of fun! In addition to two 45-min sets of stories, Gisele also got to tell a story during the very special Saturday night ‘Midnight Show’. How did it feel to tell the Bungee Jump story to a meadow of 3000 people? Felt like flying! 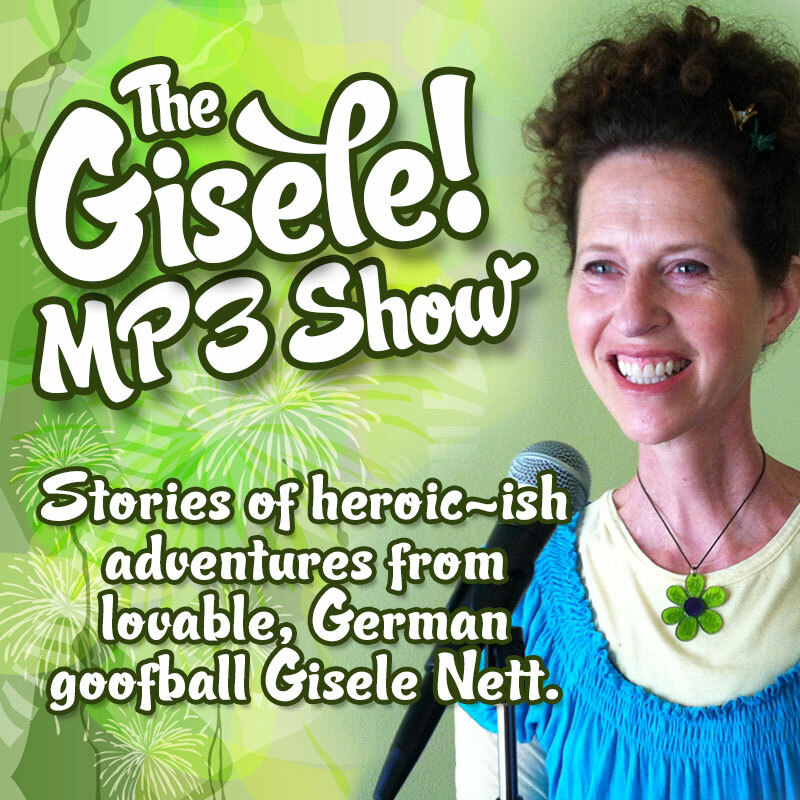 The other cool thing: for the fair we created Gisele’s first ever, hour-long audio storytelling special: THE GISELE MP3 SHOW! Seven of Gisele’s best stories of heroic-ish adventures in one hour, loads of laughs and surprises. If you missed it in Oregon, luckily the internet crosses state lines, so it’s available here for downloading and sharing! It’s just $5. Just $5? Just $5! Click below to get your copy, and let me know what you think! Much love, and thank you to the Oregon Country Fair for making me feel so welcome.